The prevalent theme for the current Buccaneer class is to shield, charge, and smash. 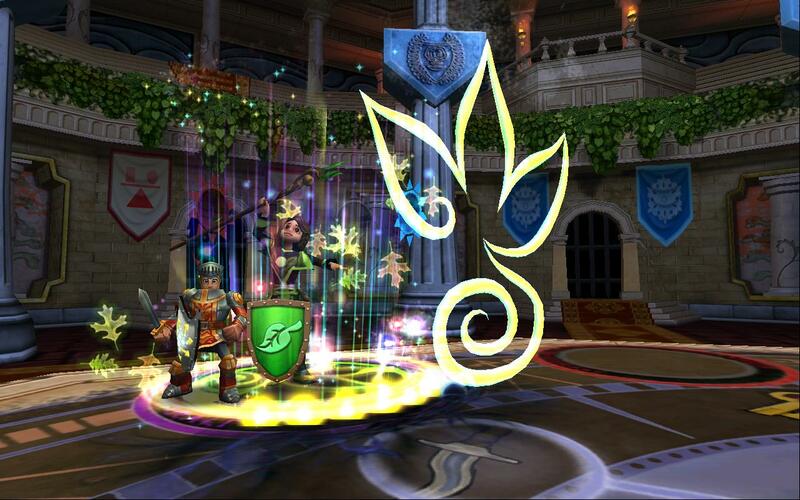 In order to complement this type of strategy, companions with high movement and high damage potential are chosen. 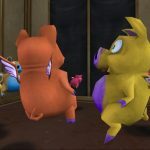 A common choice is El Toro, which will increase the chances of Reckless Frenzy and basic attacks to land. However, rising in popularity is Wu Tang, a crown shop companion clone of a Musketeer-only companion. In this spotlight, let’s look at the differences between the two companions, show setups and discuss strategies concerning El Toro and Wu Tang! Wu Tang’s Call to Arms has a longer duration at 10 turns. Having 10 turns leaves room to be less predictable, which is sometimes helpful as a Buccaneer. In addition, 10 turns are necessary if you expect to be stuck in the middle of Fall Champion Weapon Trees or Moo Manchu Warriors. You can sometimes make it out of an extended battle vs summons and still have a few turns left of your buff to then attack the enemy companions. 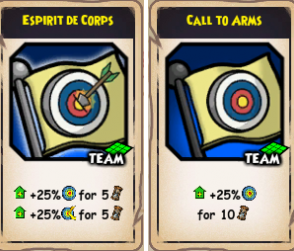 In contrast, using El Toro’s Espirit de Corps telegraphs that an attack is happening soon, otherwise the buff will be wasted. If you are slowed down by a Witchdoctor, Commander Emmet, or his counterpart Exeter, your buff may expire before you are able to reach them. Having resources wasted needlessly is the easiest way to lose as the Buccaneer class in an extended match. Buccaneer is a class that is not disadvantaged from taking melee hits. Vengeance 3 attacks can further increase the number of attacks that occur in an exchange. Often a Swashbuckler companion can be defeated in one round from those additional attacks. 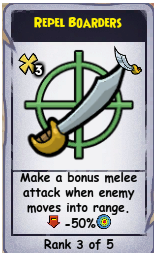 Since Espirit de Corps gives 5 turns of dodge, it becomes more likely that a Buccaneer would avoid the attacks of melee opponents, decreasing chains. This isn’t to say that Call to Arms is always better than Espirit De Corps for a Buccaneer. There are a few situations where dodging early can be advantageous, one of which is dodging a Buccaneer’s Vengeance 3 attack, thereby avoiding an opponent’s stun. Dodging a Repel Boarders 3/Overwatch 3 to ensure attacks land at full accuracy is another situation where Espirit can be considered better. While the chances are low, dodging one of those attacks can swing the duel massively in your favor. In general, I prefer the longer, more controlled, style that Call to Arms brings to the Buccaneer class. It helps get my attack to go when I’m ready, and it helps to not feel rushed to move the moment the buff is activated. Wu Tang’s largest advantage over El Toro is his Rally ability. Buccaneers possess plenty of shields. However, their lack of innate healing abilities means that every point of damage to them is meaningful. Even the heals they do bring are much weaker than any other class due to the classes lack of emphasis on Spell Power. 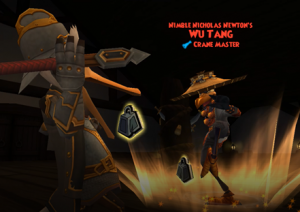 If Wu Tang can manage to get his ability off and heal 700-800 health, he almost always will have equaled the value that having a companion with more damage could have brought in a long match. 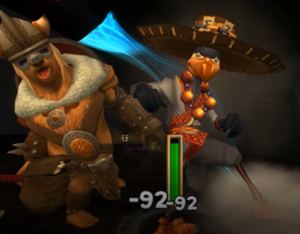 The El Toro on the left is a standard build designed for Ranked PvP. Some very specific builds can be used in the Spar chamber when your opponent is known, such as extra ranks of Riposte or Blade Storm instead of First Strike 3. In general, it is safe to leave your El Toro as shown to protect El Toro from Swashbucklers that are hidden. The Wu Tang here is a personal preference build, but it is not his only option. Wu Tang has the opportunity to get Blade Storm 3 and Repel Boarders 3 as his notable rank 3 epics; he cannot get Riposte 3 or Relentless 3. Blade Storm 3 is not needed for Wu Tang. Having Blade Storm 2 instead of 3 will very rarely matter for a companion like Wu Tang. Repel Boarders 3 will be discussed later. For the reasonings behind my favorite build, I prefer the reduction of Witch Doctor attacks in case he is targeted. It can completely shut down a Witch Doctor or Old Scratch if he’s able to reach them. Flanking is a mostly overlooked epic. It is disadvantageous to have Flanking on a Pirate character if you go hidden. After all, the opponent can exploit your flanking to make you waste your hide. It also is weaker than a standard basic hit. As a Buccaneer, it is possible to keep Wu Tang alive for long periods of time because of Hold the Line 3 dissuading people from attacking you. If he survives for long enough, a Flanking hit is one more hit to possible start Wu Tang on a Blade Storm chain which can be potentially deadly vs low Will attackers like Buccaneers. One Riposte is chosen since Wu Tang’s goal in my style is to Buff, Heal, Super Attack, and get a few flanking hits off on stunned or dodge reduced enemies. If he’s targeted by an enemy, he will likely die due to the stat disparity (Agility or Strength) and low armor stats. This means that a dodge more than 1 time in a round is a rarity. Another possible build is shown here. It replaces a Witch Hunter or a Flanking for Riposte 2. You can even replace both in order to get Blade Storm 3. 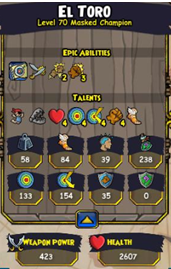 If Riposte 2 is chosen, I would replace the Will talents with Dodgy 4 and switch the Witch Hunter for the extra Riposte Rank as shown above. 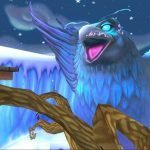 Wu Tang can train Repel Boarders 3 as mentioned earlier. Bringing Repel Boarders in general is a risk due to the presence of First Strike and along with other reactive epics like Vengeance Strike or Riposte. Wu Tang does not want to take more hits than he needs to. Even with the accuracy reduction from Repel Boarders, he can still get damaged heavily by a Buccaneer or Swashbuckler. 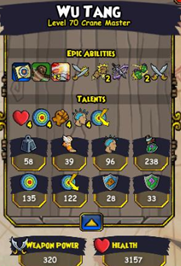 For a Buccaneer, I would not recommend using this build as Wu Tang does better as a Player Turn damage build rather than an Enemy Turn defensive Repel Boarders 3 user. If this is chosen, however, his options would be Repel Boarders 3, Relentless 2 and either Riposte 2 or Blade Storm 1 for the last epic. He would need to have dodge as well so Dodgy 4 instead of Will 4 for his talents. Most players are aware of El Toro’s capabilities. He features 1 more movement range than Wu Tang (4 movement) for a total of 5 movement squares. El Toro can jump over boxes. He takes lower damage from traps. In addition, he can be resistant to hidden attacks if First Strike 3 is trained. 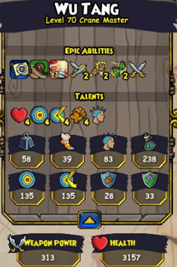 He features the high base damage and epic selection that are highlights of the Swashbuckler class. He favors a very offensive style of Buccaneer that hopes to end a duel in a low number of turns. These types of duels are volatile and can either end in an overwhelming victory or an overwhelming loss. Wu Tang has higher Health and features higher Will, which is rare to see on a Buccaneer team. He can be devastating against Buccaneers and Swashbucklers, given that they are either dodge reduced or stunned. He has a heal that can help keep the Pirate, the most important part of the team, alive for longer. As such, he favors a defensive style of Buccaneer. The goal is to win a duel by winning in resources rather than by gaining an early advantage. These types of duels are consistent and will almost always end in Pirate vs Pirate.